Because of the similarity between heart attacks and strokes, the two are some­times confused. Both involve a cut off of blood supply: In a heart attack, the supply to the heart—and consequently to all the other organs—is cut off, while with a stroke, blood supply to the brain is cut off, as a result of a clot or a hemorrhage. Once this happens, oxygen becomes depleted and brain tissue dies. This can ultimately result in paralysis, blindness, speech difficulties, loss of function in an arm or leg, and other serious disabilities. There may also be cognitive impairment, i.e., the person cannot think or remember as well as before. Stroke affects people of all ages. Strokes can happen in the younger population as a result of congenital abnormalities. In the older population, it will be more due to high cholesterol, high blood pressure, and occluded arteries. Certain use of drugs such as cocaine and amphetamines, and overuse of cold medication ephedra can bring on stroke symptoms as well. Each year, 15 million people around the world suffer from stroke, a third of which are permanently left disabled. Almost 80 percent of strokes are ischaemic, which means that it occurs when the blood vessel becomes blocked. The process typically initiates with atherosclerosis, in which cholesterol and other debris accumulate inside the blood vessel, which narrows the blood vessel and slowing down the flow of the blood. This slowdown provides an environment for a blood clot to form, which can eventually enlarge enough to completely block the vessel. A blood clot also form somewhere else, and break away and then lodge onto a narrowed blood vessel. The remaining 15 to 20 percent are a hameorrhagic type, meaning it occurs with the rupture of a blood vessel in the brain, which causes blood to seep into the brain, compressing blood vessels and blocking the normal flow of blood. Many hemorrhagic strokes are caused by aneurysms, or bubbles in blood vessels that can weaken the structural integrity of the vessel wall. A stroke can give off different symptoms depending on how the long blood supply was cut off and the part of the brain that was affected. Small strokes may happen that the affected would not be aware of it happening, while other small strokes can produce slight numbness on the face or weakness in another part of the body. Severe symptoms of stroke include loss of movement, paralysis, loss of speech, loss of memory, inability to swallow, or death. If any of these symptoms happen, go to a hospital immediately. The doctors will ask about the symptoms, when they occurred, and will take a medical history. A physical examination will include checking for carotid bruits, which are abnormal sounds made by blood flowing through a narrowed carotid artery in the neck. A neurological examination will test brain function such as memory, healing, vision, and speech to find out what parts of the brain have been affected. Imaging test such as MRI, CT (computer tomography), MRI, and Doppler ultrasound will determine whether the stroke is ischaemic or haemorrhagic. The best treatment for stroke is preventative medicine by maximizing total systemic health. It is important to consume a diet that is rich in vegetables and fruit and low in saturated fat, which would reduce cholesterol and blood pressure. Consuming fish such as light tuna and salmon is very beneficial as both are high in omega-3 fatty acids, which help lower the risk of stroke. Potassium, magnesium, vitamin C, and calcium from foods may lower the risk of ischemic stroke. It is also important not to smoke. Drinking alcohol in any amount can increase the risk of haemorrhagic stroke, while heavy alcohol consumption may eventually lead to ischaemic stroke. It has been proven that one or two drinks a day may lower the risk of ischaemic stroke. Regular exercise lowers the risk of stroke in several ways: it lowers blood pressure, it controls weight, and it makes blood less likely to clot. Regular exercise also helps reduce stress levels, a risk factor for high blood pressure. It is recommended to have at least one hour of brisk walking or other moderate exercise on most days. A complementary physician, one that combines both holistic and traditional medicine, will be able to determine whether the risk factors for stroke are present. They will also be able to educate the patient on how to decrease the risk factors (e.g. high cholesterol, obesity, high blood pressure, etc.) A doctor may help the patient to lower cholesterol levels, lower the blood pressure, and unblock arteries. This is purpose of chelation therapy, which is recommended for these purposes. A series of treatments can open up the arteries and eliminate the risk of stroke. There are different phases of treatment in stroke care. Stroke care must begin within the first three hours after the onset of symptoms. Thrombolytic therapy, a medication administered intravenously, is one of the first treatments given. The main thrombolytic medication is recombinant tissue plasminogen activator (tPA). The second phase of treatment is intravenous anticoagulant medication which prevents any new blood clots from forming. A day or two after the stroke has occurred, medications such as warfarin and aspirin may be used for several months to prevent any future recurrence of clots. If there is a significant blockage of the carotid artery, the main artery that supplies the brain, a surgical procedure called the carotid endarterectomy will be performed. This procedure opens the blocked artery and cleans out any of the attached plaque or debris. Another procedure called carotid artery stenting is one where a surgeon places a prosthetic device called a stent into a narrowed artery to prop it open. Hyperbaric (high-pressure) oxygen therapy can help reverse brain cell damage in stroke victims, if administered within a day of the stroke. When the treatment is used years later, dramatic improvements have also been noted. Hyperbaric oxygen revitalizes injured tissue, restoring it to a fuller function. It also reverses any swelling that may occur since dying tissue swells and squeezes into other areas. Hyperbaric oxygen therapy is one of the more successful therapies when others have failed. Between 800 and 1500 taken daily is a good preventative measure. 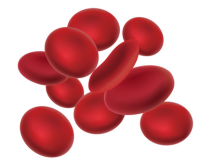 Powerful antioxidant helps reduce clotting. Start with 200-800 IU a day and increase to 800-1000 IU. Should be taken with Vitamin E to improve actions and keep tissues elastic. Coenzyme Q10 is one of the most important nutrients for getting oxygen into tissues, heart, and brain. Take approximately 200 mg daily. Two capsules should be taken with each meal. Lechitin helps protect the brain, deter cardiovascular disease, and reduce cholesterol. Vitamin C helps strengthen arterial walls, thereby preventing heart attack or stroke from occurring. It should be noted that herbal therapies are a good preventative measure. Follow stroke preventative medical advice from doctor, especially if there is a family history or have risk factors that can point to stroke. If under care for stroke prevention or rehabilitation, consult with doctor before doing any kind of other therapy such as herbal therapy. Garlic is a great anti-clotting herb because of its blood thinning effect and ability to help control high blood pressure. May want to stay away if at risk for haemorrhagic stroke, consult with doctor before using garlic. Gingko has been proven effective to increase blood flow to the brain. Willow bark is an herbal equivalent to aspirin. Studies have shown that taking half of a standard tablet to a whole tablet a day can reduce incidence of ischemic stroke by 18 percent. Harvard did a research study in which over 87,000 female nurses were subjects. It was found that women who ate five servings of carrots a week suffered almost 70 percent fewer strokes than those who only ate carrots twice a month. Peas have a significant anti clotting effect. Pineapple contains bromelain, which has a good ability of breaking down protein and has potential anti clotting action to prevent ischemic stroke. Blueberries contain anthocyanidins, which has been shown to prevent blood clots and break down the plaque deposits lining arteries. The oil of this herb is righ in gamma-linolenic acid(GL) a potent anti-clotting and blood pressure-lowering-agent. Spinach has folate, which has been proven in a Tufts University and University of Alabama study that those that consumed more folate were less likely to suffer from a narrowing of the carotid artery.